It’s a fundamental question to answer every day: Am I going to be bigger than the circumstances in my life? Or will I succumb to my environment, the attitudes of those around me, the marginal results of yesterday, the actions of leaders I’ve never had lunch with, (or the poor weather)? Who will determine your actions and experience today? Responsibility begins with acting on the logic in your answer. The brilliant people who inspire us are those who know that the quality of our days begins with a choice. What’s more, these people understand that living a life of personal accountability is a skill. It’s a capability that can be strengthened in every interaction of every day. Effective leaders prize this skill development in their team as much as any other capability. There’s a difference between people who require others (i.e. their environment) to motivate them to action – and those who have the technique to accelerate their own greatness, whenever and wherever they choose. The difference is as clear as knowing who won’t experience excellence – and who will. 1) What paradigm can we change…so the toughest situations become the seeds of our excellence? 2) What focus will we hold so momentum is generated? 3) What questions can we ask that will activate our greater potential? How will you play big today? Want to focus your team to be even more capable, agile, and perform better than they’ve ever done? Degrees of Strength shows how. Order Now to accelerate your greatness in 2012. Sign up for free to be part of our A-team and you’ll get free resources delivered straight to your inbox. Coming Soon: Team Acceleration Guide. Click Here for access. 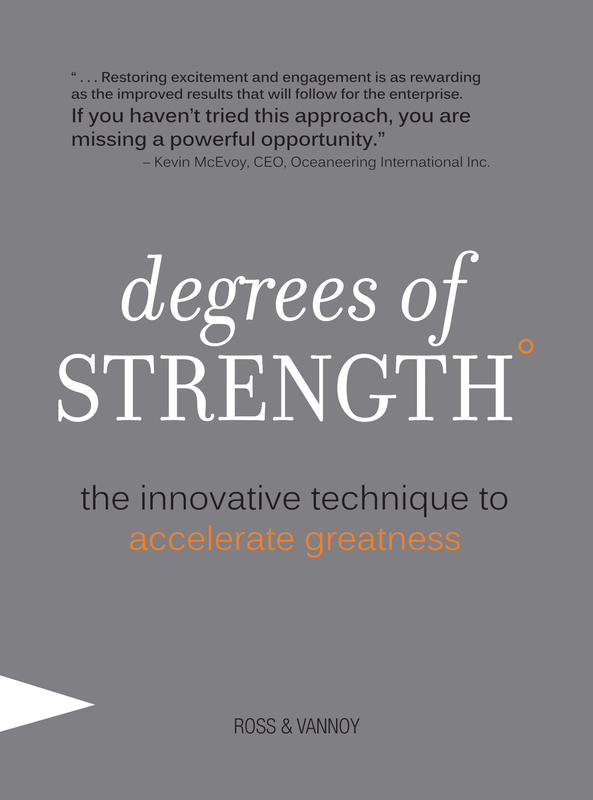 I can’t thank Craig and Steve enough, for sharing their knowledge and the truths contained in Degrees of Strength and for giving me the tools to help others see themselves as they truly are. I can’t wait to share it with everyone else in the practice so they too will recognize the invaluable strengths that each one of them already have and help them to develop those strengths to higher degrees every day. The work we are each doing on the inside may seem insignificant by itself, but a sky full of diamonds shining outward and each reflecting the light of another fills the void until you can’t tell one from the other. WE WILL SHINE AS ONE AND SUCCEED TOGETHER! Patricia – you inspire like no other, my new friend! 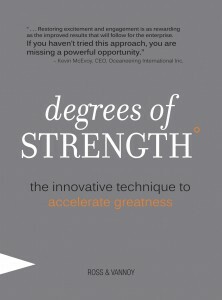 You provide beautiful evidence of the Degrees of Strength Technique – and an important reminder: Accelerating great performance and outcomes is not simply a matter of attitude…it’s a skill. It’s a skill we can all develop greater capability in. Thank you for modeling this! – Craig P.S. And by the way, your office “walks the talk.” I enjoy my visits and have tremendous confidence in the quality of service! I love your article. This fits so well with our focus on Accountability. I plan on using this to help me and others at my organization! Thanks. I am inspired by this post! This is such a CRITICAL point … excuses are everywhere, and they are valid. But they don’t get us where we want to go and they don’t get us the fulfillment we all desire. It takes shining the light on those things we’ve allowed ourselves to become victims to and decided to choose something new and to stand in our true power! It takes courage and strength, but it’s worth it! Today, I reached out to several co-workers to connect and offer support. It was fabulous and they really appreciated it. Our team is stronger now because of it. A small thing … but so important!